The QUATTRO! Large 2 bedroom and 2 full bath suite featuring an open concept plan, granite countertops, corner location & oversized windows for plenty of natural light. Located on the 2nd floor but offers a level walk out patio facing the courtyard. The suite needs paint and flooring but is priced accordingly. Amenities include fully equipped exercise room, playground, video surveillance, one secure parking stall and a storage locker. 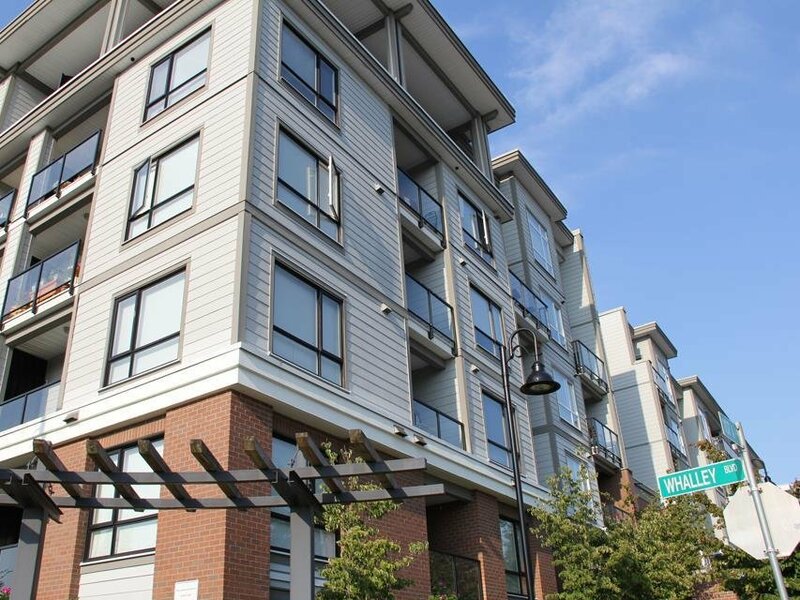 Balance of 2-5-10 year warranty, walking distance to Gateway Sky Train station, restaurants, parks, SFU, Central City Mall and more! 2 pets and rentals allowed.